For accessing the information, please use the menu under the headline. The fast track to specific profiles begins with Countries or with the Map. SPICA Directory Online is the only global directory for business incubators, science/technology parks and their associations. It is a joint initiative of all associations listed, coordinated by SPICE Group. SPICA Directory Online is a process - not a result, it is not a scientific survey but a collection of information to be updated and interpreted by the user. 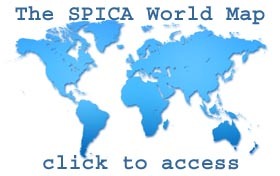 SPICA Directory is working continuously on improving the content and functionality of the system. If you experience any difficulty or want to suggest a change or improvement please, let us know.